WWF Malaysia and the state government of Sabah, the Malaysian state on Borneo island, have signed an agreement to restore almost 1,000 hectares of degraded land in the Heart of Borneo as an orangutan habitat. The five-year agreement, signed this week, is made possible with RM4.35 million (USD1.27 million) grant from the ITOCHU Corporation of Japan, WWF Malaysia said in a statement. The area covers Ulu Segama where some orangutan populations have become isolated due to logging and other activities as well as the existence of Ulu Segama river that acts as a natural barrier. 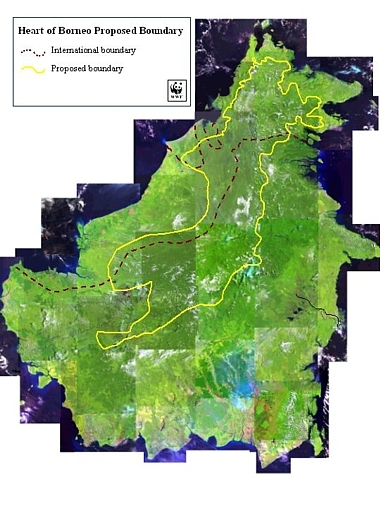 The memorandum is part fo the Heart of Borneo initiative to turn a huge portion of Borneo into a conservation area involving Malaysia, Indonesia and Brunei. Conservation group Hutan has estimated there are less than 11,000 orangutans remain in Sabah.